We are professional Miele appliance repair company. If your Miele appliances are giving you trouble, if they break or need service, we can help. Our company deals specifically with all models of Miele appliances including all refrigerators, stoves, ovens, washers, dryers, dishwashers and much more. Our highly skilled technicians are all factory trained and certified to repair Miele. Our team works fast and is extremely detail oriented. We will make sure your Miele appliance is back to normal in no time. 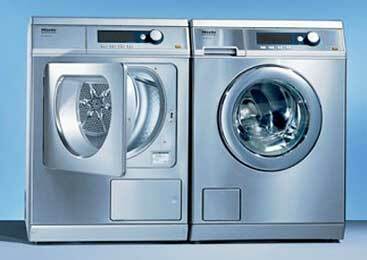 We also provide you with Miele genuine, high-quality parts. With us, you can be sure to get the best professional service at the most reasonable price. 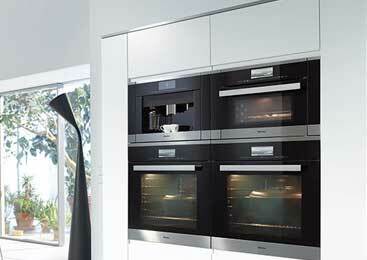 Miele makes high quality, stylish and innovative appliances. Those appliances have highest standards of durability and performance. 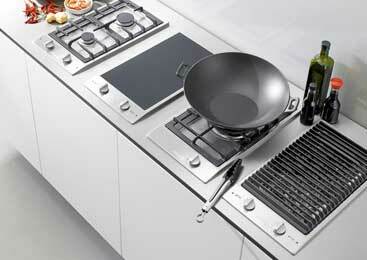 But to keep them in good condition you must hire certified Miele appliance repair company. We are such company. We specialize in the high ticket price, European and deluxe brands of appliances like Miele. We know everything there is to know about them. In fact, as new technical innovations come out, we learn as much as we can about them. So, our technicians are always on top of the latest Miele technology. Besides having outstanding Miele appliance repair skills, we also excel in customer service. Our technical team is not only professional but also, polite and friendly. We will go out of our way to keep our customers happy with our work. Our company offers many perks such as accurate estimate and FREE service call with every repair job. We also do flexible appointment scheduling even in the after hours or on weekends. The prices we give you are reasonable and fair. And we are so sure of the quality of the Miele parts that we install that we offer you a 3 yearwarranty on them. We guarantee that your Miele appliances will be fully functional and safe to use after an appointment with us. Top Home Appliance Repair has more than 30 years experience serving Los Angeles, Ventura County, Marin County and East Bay. We are family owned, and family run business. We do repairs and maintenance on all major home appliances such as refrigerators, dishwashers, washers, dryers, stoves and ranges, ovens, steam ovens, microwaves, freezers, ice makers, BBQs, pizza ovens, patio heaters and much more. We do both residential appliance repair and commercial appliance repair. You will not regret calling us for all of your appliance repair needs. Give us a call and we will schedule a convenient service appointment for you. Our technician will be on his way to your house in no time. He will bring with him all the tools, equipment and parts needed for your particular project. If we gather enough information over the phone about your appliance, we often can preorder the parts ahead of time. This saves you time and means we can do the repairs with just one appointment instead of a couple. Once our technician arrives, he will diagnose your Miele appliance and find out what is wrong with it. He will find the best solution possible. That often includes cleaning out certain parts, reprograming, replacing parts, etc. We will do whatever it takes to fix your appliance. After the job is complete, we hook it back up and test it for safety and functionality. There is always safety concerns when dealing with electrical or gas equipment. Only when we are sure that everything is working correctly will we hand it over to you. Also, our technician will clean up after himself and dispose of all the old parts. At the end of the job, you can be sure that your appliance is perfectly functional and safe. We will also share some tips on how to keep your appliance in good shape. Our company also offers annual or bi-annual maintenance program. It covers all appliances in your kitchen and laundry. As a part of this program, our technicians will do all the maintenance for you on a regular basis. They will inspect your appliances every time and catch any problems before they become significant. This maintenance service will save you time and money. We are simply the most qualified Miele appliance repair company out there. Our company has more than 30 years experience dealing with all brands and models of appliances. In particular, we are experts on European appliances such as Miele. Our technicians are factory trained and certified. We know everything there is to know about Miele and will make sure to do the job right. With our help, your appliance will be able to last for a long time without giving you any problems. We are also friendly and customer service oriented company. Our goal is to make you service appointment convenient and fast. Customer satisfaction is guaranteed! For Miele appliance repair, please call us at 925-265-7782 in East Bay or 628-214-0064 in Marin County. Or you can fill out our short contact form. We would love to talk to you and answer all of your questions. Besides Miele appliance repair are also certified to repair Asko, Bertazonni, Bosch, Dacor, DCS, Electrolux, Fisher&Paykel, Frigidaire, Jenn-Air, KitchenAid, Perlick, Samsung, Siemens, Sub-Zero, Thermador, Traulsen, True, Viking, Whirlpool, Wolf. We are professional Miele appliance repair company. If your Miele appliances are giving you trouble, if they break or need service, we can help. Our company deals specifically with all models of Miele appliances including all refrigerators, stoves, ovens, washers, dryers, dishwashers and much more.